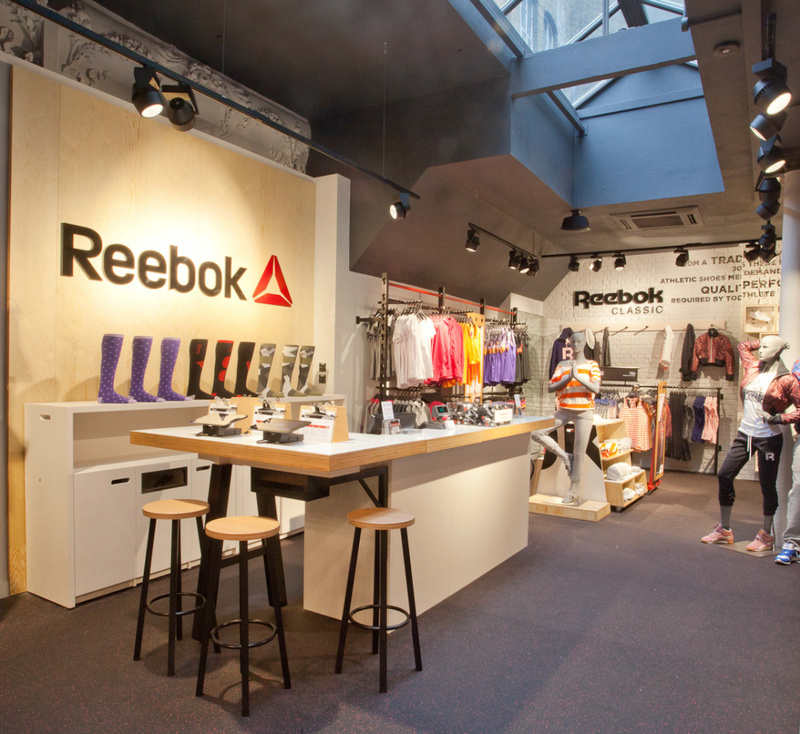 Brown Studio has created a new retail concept for Reebok, with store designs based on the look and feel of a gym. The store in London’s Covent Garden ‘encourages and promotes training, fitness and community’, according to Brown Studio, which was appointed to the project earlier this year following a pitch. 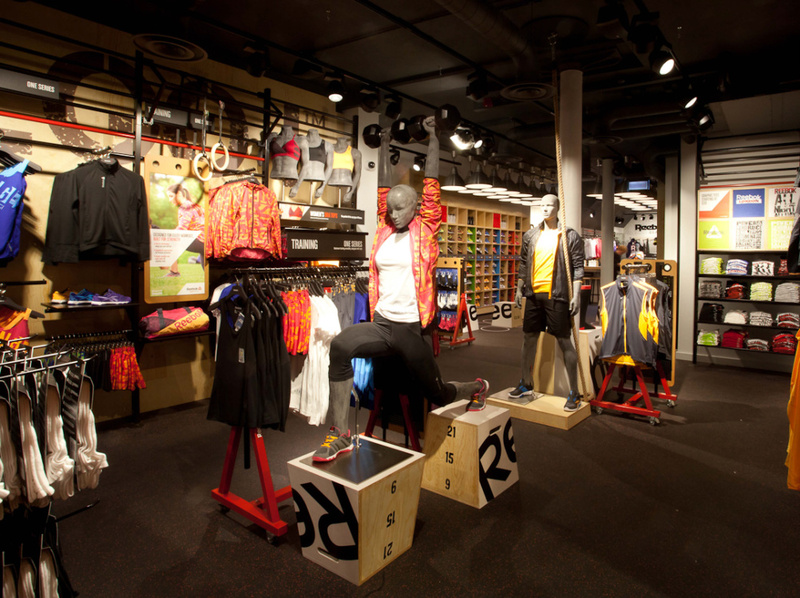 The consultancy worked with designs handed over from Reebok’s Boston-based in-house design team. The brand is a partner of CrossFit, an intensive core strength and conditioning program, which has informed design elements. 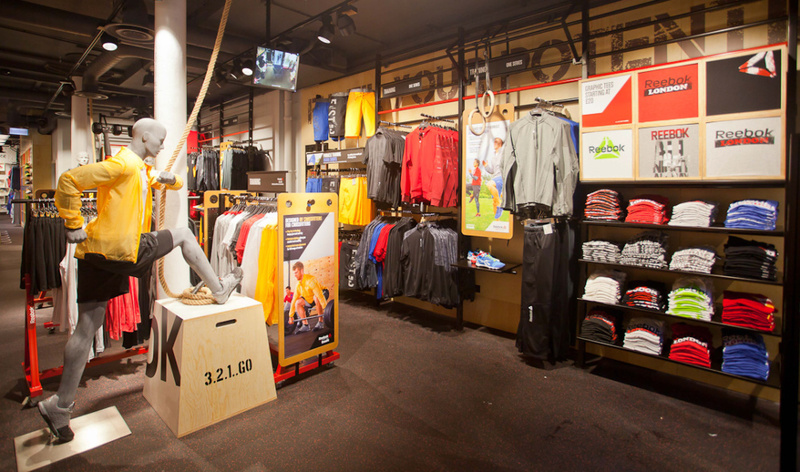 According to Becky Scotchmer, Brown Studio senior designer, the store deliberately eschew technology and interactive elements to keep in-line with the CrossFit workout ethos, though the Covent Garden store uses a ‘community board’, where people can write workout tips and messages. Materials such as plywood and rubber flooring and features including a ballet barre and rope chairs aim to create the gym-like feel, while mannequins stand in sporty poses, with some stretching or performing yoga moves. ‘The concept promotes a motivational tone of voice through graphics and campaign imagery to inspire and drive towards a healthier lifestyle’, says the consultancy. 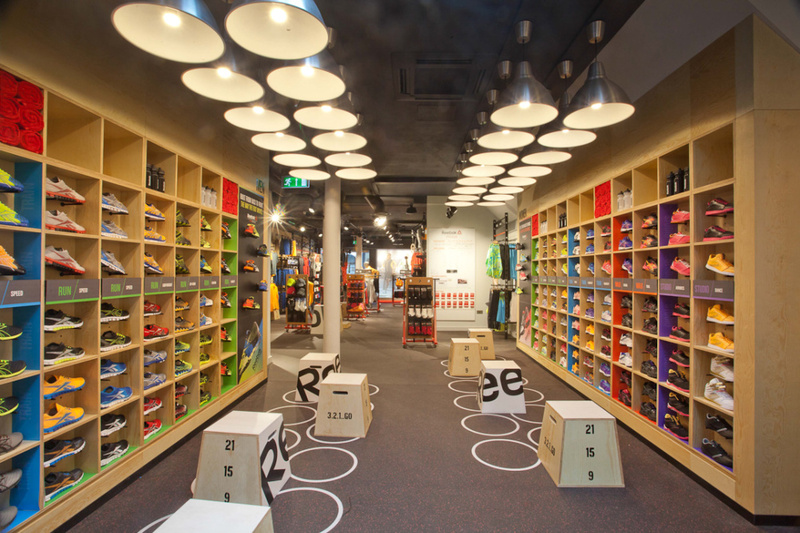 Brown Studio is currently working with Reebok on other UK sites in Oxford, London’s King’s Road, Reading and Bromley. It is also working to bring the experience of Cross Fit in store at the Oxford branch, which will feature a dedicated work-out space.